The spread of the virus occurs by droplet infection i.e. when a person infected with Rubella sneezes or coughs he throws the virus in the air; the droplets in the air spread infection in the healthy individuals. Symptoms of Rubella are generally mild. They appear after 2 to 3 weeks after the person is infected by Rubella virus. The disease presents itself in the following way. Development of red or pink rashes first on face then trunk and then on the extremities. Bright red conjunctiva of the patient. One peculiar symptom is the child affected with Rubella presents with sunken eyes. Enlargement of lymph nodes especially behind the ears and the neck. Child becomes irritable and cranky. In adults or adolescents Rubella can cause severe joints pain or arthritis. For how long the patient of Rubella can spread the infection to others? The patient of Rubella can spread the infection for almost 20 to 25 days. The patient is contagious for about 10 days before the onset of rash and he remains contagious for about another 7-15 days after the rash disappears. Rubella and pregnancy: If a pregnant woman contracts Rubella during pregnancy, then her child bears the serious consequences of it. The children of such mothers develop Congenital Rubella Syndrome in the first year after the birth. Congenital defects in the heart etc. Rubella can be easily prevented by giving vaccine to the child. The child should be given the MMR (Measles, Mumps and Rubella) vaccine at 9 months, 15 months and at 4-6 years of age before entering the school. Most parents give first two doses of vaccines but they tend to forget the MMR vaccine dose at 4-6 years of age. Rubella vaccine should be taken by the women of child bearing age before planning the pregnancy. But care should be taken that women should not become pregnant for at least 28 days after taking the Rubella vaccine. A person develops lifelong immunity against Rubella, after getting infected by the disease. Isolation of the patient suffering from Rubella is the most important part of the treatment. The patient should be isolated from others during the infectious period because the Rubella infection can very easily spread in healthy individuals. Doctors generally give the symptomatic line of treatment for controlling the severity of fever, body pains, headaches and cough cold etc. There are effective homeopathic medicines, which work to control and treat Rubella. Some of the commonly used medicines by homeopathic doctors include Pulsatilla Nigra, Rhus toxicidendron, Dulcamara, Gelsemium. 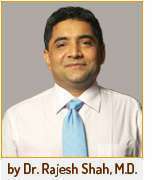 In Dr Rajesh Shah’s opinion, homeopathy is strongly suggested for Rubella. Severe Urticaria got completely resolved with Dr. Rajesh Shah's research based homeopathy.